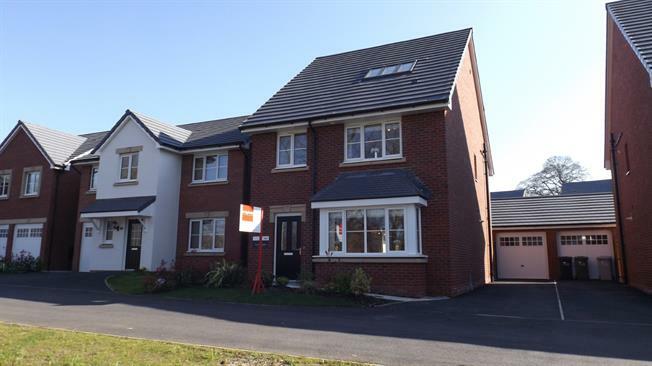 5 Bedroom Detached House For Sale in Haslington for Asking Price £339,950. ONLY TWO REMAINING!! Part Exchange and Help to Buy available, Stamp Duty Paid and 1000 towards legal fees. The Kellingside forms part of the Stewart Milne range, it is a terrific detached family home neatly arranged over three floors. To the ground floor there is an expansive lounge with wide walk in box-bay window, a kitchen/dining/family room which stretches across the entire width of the home. Separate utility room, WC/cloakroom. To the first floor there are three well proportioned bedrooms, bedroom two has an en-suite and walk-in wardrobe. Both the master bedroom with en-suite, and bedroom five are positioned on the second floor. Delightful gardens and garage.